Lion King returning to Denver Colorado in the month of November 2011. 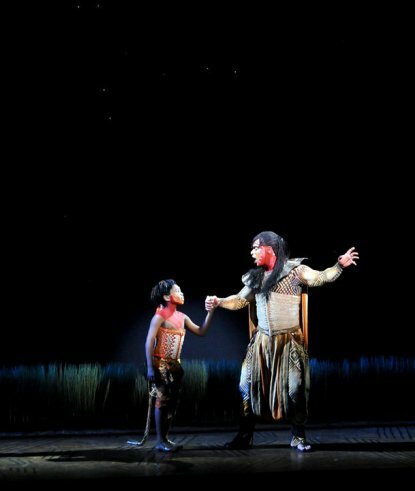 The Lion King performances at The Buell Theatre start on November 02 and play through December 04, 2011. Sundays – 1pm and 6:30pm. Casting has been announced for the Denver return engagement of Disney’s The Lion King. Denver’s most eagerly awaited stage production will return to The Buell Theatre from Wednesday, November 2 to Sunday, December 4. The press opening night is Friday, November 4 at 7:30pm. This will be The Lion King’s third time to play Denver. The North American Tour launched in Denver in April 2002 where it played a sold-out 10-week engagement at The Buell Theatre. The production returned to The Buell Theatre in September 2006 where it played a 7-week sold-out engagement. The three evil hyenas are played by Omari Tau (“Banzai”), Monica L. Patton (“Shenzi”) and Ben Roseberry (“Ed”). The role of “Young Simba” is alternated between Niles Fitch and Zavion J. Hill and the role of “Young Nala” is alternated between Sade Phillip-Demorcy and Kailah McFadden. Buy Lion King The Buell Theatre Tickets, Use Code AFF$10 to Get $10 OFF on Lion King Denver Colorado Ticket Orders over $350! Disney’s The Lion King continues to reign across North America with a record-breaking sold-out four-week premiere engagement in Montreal which concluded on Sunday, September 4. The engagement grossed over $7 million at the box office and entertained more than 85,000 patrons during 32 performances at the Salle Wilfrid-Pelletier, making it the highest-grossing theatrical production in the venue’s history. It is estimated that The Lion King generated a $24 million economic benefit to Montreal from travel, hotels, restaurants, parking and other businesses patronized by both theatergoers and production staff. This figure is based upon a report from the Touring Broadway League, the official trade organization for Broadway and their North American Tours. The report states that on average, Broadway tours contribute to the local metropolitan area’s economy an economic impact 3.5 times the gross ticket sales. This North American National Tour has been seen by nearly 13 million theatergoers and grossed over $834 million to date. Enjoying its ninth year on the road, The Lion King continues to celebrate unparalleled achievements and delight new audiences throughout North America – The Lion King Tour Cities 2011 and 2012. Lion King Tickets selling like hot cakes. Do not worry if you could not get the tickets from Theatre box offices, even you need not wait in the long lines. Buy your Lion King Tickets today and Avail $10 OFF on Orders over $350 by using the Code AFF$10. 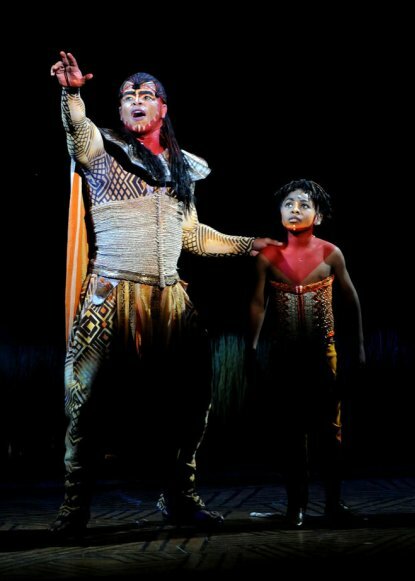 Lion King is currently playing on tour in Syracuse, NY and moves to Buffalo, NY on October 04, 2011. Lion King will be performing at Peace Center – SC from June 12, 2012 and will run through July 08, 2012. 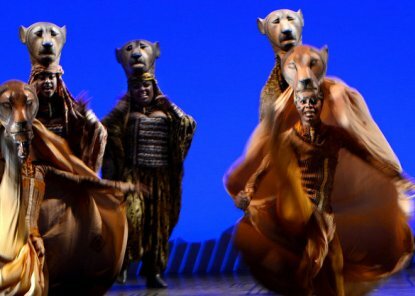 The Lion King won six 1998 Tony Awards: Best Musical, Best Scenic Design (Richard Hudson), Best Costume Design (Julie Taymor), Best Lighting Design (Donald Holder), Best Choreography (Garth Fagan) and Best Direction of a Musical, making Taymor the first woman in theatrical history bestowed with the honor. The Lion King tells the story of lion cub Simba, heir to his father Mufasa’s throne as ruler of the animal kingdom. Simba is remorseful believing he is to blame for his father’s death, which unbeknownst to him had been engineered by his evil uncle Scar. Guilt drives the lion cub to run away. The Lion King will be performing through July 08, 2012 at Peace Center SC. 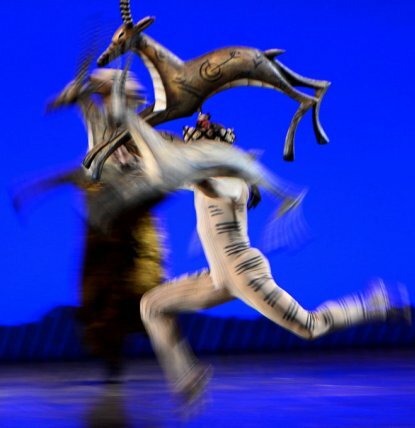 Buy Lion King Greenville SC Tickets, Use Code AFF$10 to Get $10 OFF on Ticket Orders over $350! “Mufasa,” played by Dionne Randolph, and the character’s son, “Simba,” played by Jelani Remy, in Saturday’s performance of “The Lion King” at the Mulroy Civic Center in Syracuse. “Simba,” played by Jelani Remy, and the character’s father “Mufasa,” played by Dionne Randolph, in Saturday’s performance of “The Lion King” at the Mulroy Civic Center in Syracuse. “Mufasa,” played by Dionne Randolph, in Saturday’s performance of “The Lion King” at the Mulroy Civic Center in Syracuse. An antelope flies across the stage during Saturday’s performance of “The Lion King” at the Mulroy Civic Center in Syracuse. The Broadway musical runs through Oct. 2, 2011. The lionnesses dance during The Pridelands, Scene 4 of “The Lion King” Saturday at the Mulroy Civic Center in Syracuse. The Broadway musical runs through Oct. 2, 2011. Buy Lion King Syracuse NY Tickets Online. Use Code AFF$10 to Get $10 OFF on Lion King Mulroy Civic Center Ticket Orders over $350! 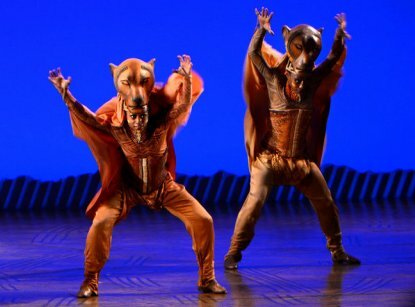 Fourteen years after choreographing “The Lion King,” Fagan still delights in talking about the stage musical, a melding of song, dance, story, masks and puppetry. Fagan won a Tony award in 1998 for choreography. 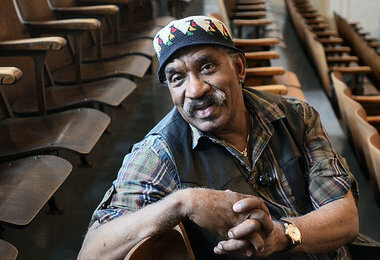 The choreographer and founder of Garth Fagan Dance attended a March performance of a touring production of “The Lion King” in Rochester, where his professional troupe is based. 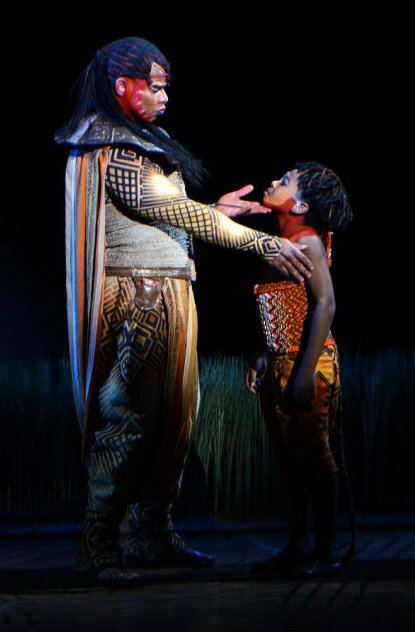 The Lion King musical comes to Syracuse, NY on Tuesday, September 06, 2011 for a four-week run. It premiered on Broadway in November 1997 and continues to play there. Based on the 1994 Disney movie, “The Lion King” tells the story of lion cub Simba, heir to his father Mufasa’s throne as ruler of the animal kingdom. Simba is remorseful believing he is to blame for his father’s death, which unbeknownst to him had been engineered by his evil uncle Scar. Guilt drives the lion cub to run away. “The Lion King” still affects the 71-year-old Fagan in unexpected ways. “I know every step, every sound, where everyone’s going to be. Memories of his daughter, who died at 3 years old in a car accident, influenced the creation of his dances. “I never liked cats. I’m a dog person,” he says with a tinge of his Jamaican accent surfacing. But Fagan’s daughter, Sherrin, was a cat lover. Working on a production where the big cats rule, “I had to learn how to get some respect for that,” he says with a laugh that rumbles forth. “You use negatives to become a positive,” he says of the tragic circumstances. (Crouse Hinds Theater) from Tuesday’s (9/6/2011) night 7:30 PM Show. Directed by Tony winner Julie Taymor, The Lion King is a musical based on the 1994 Disney animated film of the same name with music by Elton John and lyrics by Tim Rice along with the musical score created by Hans Zimmer with choral arrangements by Lebo M. The musical features actors in animal costumes as well as giant, hollow puppets. The Lion King presented by Disney Theatrical Productions and Famous Artists Broadway Theater Series. Syracuse NY Special Show: A sign-interpreted performance will be 7:30 p.m. Sept. 22. 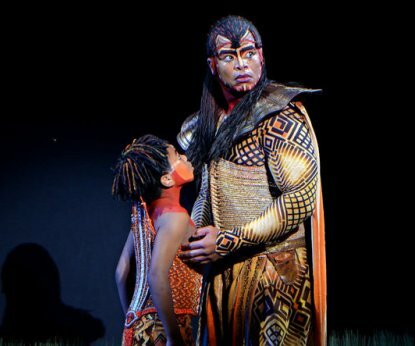 Lion King will perform in Syracuse NY till October 02, 2011 before it moves to Buffalo, NY for performances starting from October 04 2011. Lion King John H. Mulroy Civic Center tickets are selling Quick. 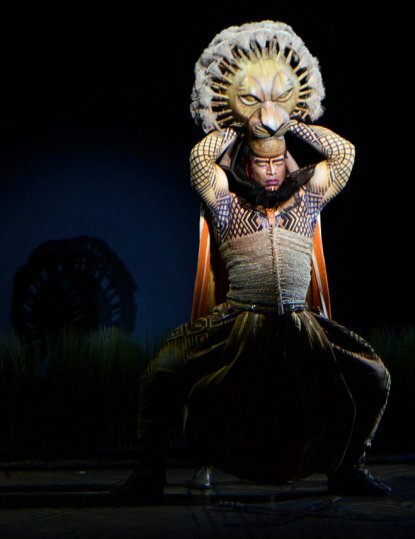 Buy Lion King Syracuse NY Tickets Online, Here is a discount code as well for you: Use Code AFF$10 to Get $10 OFF on Orders over $350!